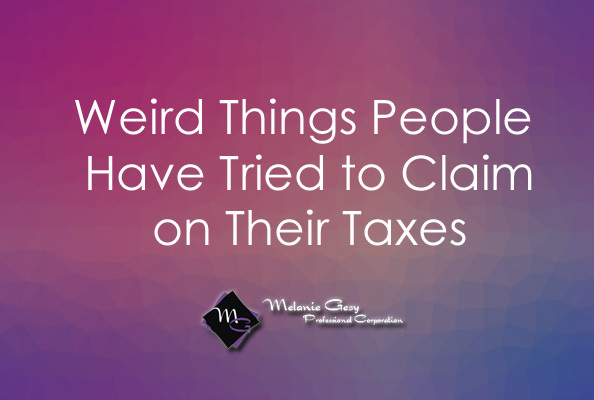 We all know how difficult it is to figure out what you can and cannot claim on your tax return. Here are some strange things that people have tried to claim. Enjoy! Who doesn't love a good scratch-off ticket? Unfortunately lottery tickets cannot be claimed on a tax return. The only way you can do so is if it is for a charity lottery where you are able to claim a portion of the ticket as a donation. Lottery tickets are look at as a "fun" purchase and not a necessity. We all love our fur-babies, they are a part of the family! Many people have tried to claim their animals food along with other pet expenses on their taxes but sadly pets do not count as dependents. If they are a service animal than you are able to do so. A woman who ran an in-home daycare wanted to claim her expenses from her two iguanas because they were purchased for her business. Pet expenses cannot be deducted unless the animal is a service animal like said above. A man attempted to claim a $1,500 trip to Las Vegas as a medical expense but was denied. A doctor recommended to the man that he escaped to a warmer climate during the winter months because of his skin condition. Since this man didn't undergo a medical treatment or procedure from a health care provider, his trip would have been seen as for pleasure. A different person tried to claim their trip to an all-inclusive five-star resort in Bermuda as a medical expense. When caught, they claimed that they suffered from a Vitamin D deficiency. If you have ever travelled to Las Vegas then you have most likely seen the oxygen bars that are placed throughout the hotels. These oxygen bars are often visited by the extremely hungover. A hungover man attempted to claim his sessions at one of these bars as a medical expense. One of the Edmonton Eskimos players deducted almost $600 in expenses from his income. His reasoning was that he threw multiple footballs into the crowd after he scored a touchdown. His deduction was denied by a tax court judge because him throwing footballs into the crowd was not part of a sponsorship deal.